Black and White__ Collaboration with "Be happy with fashion"
Come vi avevo preannunciato nel post precedente, ho una novità da raccontarvi. 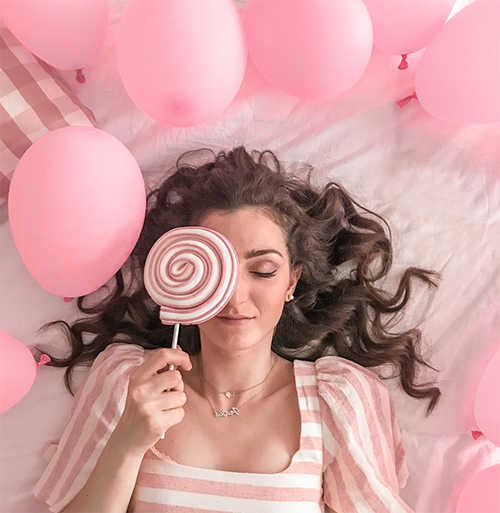 In quest'ultimo periodo è nata una collaborazione con Benedetta, fashion blogger italiana che gestisce Be Happy With Fashion, che prevederà post di outfit a tema: un modo per divertirci con la moda e mostrare le nostre idee. Il primo tema scelto è il Black and White che potrete vedere nei nostri look sia sul mio post sia su quello di Benedetta cliccando qui. Le nostre scelte sono ricadute su uno stile romantico, senza nessun accordo precedente. Io ho mixato tessuti diversi: gonna di lana, camicia di seta, borsa in ecopelle, decolté in camoscio e collana in macramè - nuova, un pezzo unico che non poteva mancare nel mio armadio. Credevo che questo mix sarebbe risultato caotico invece era in perfetta armonia. L'unico tocco di colore è dato dal rosso del rossetto che sarebbe stato perfetto anche sulle unghie ma non ho avuto modo di realizzare quest'idea. Cosa ne pensate del mio look e di quello di Benedetta? In the last post I announced a news thant I want tell you. 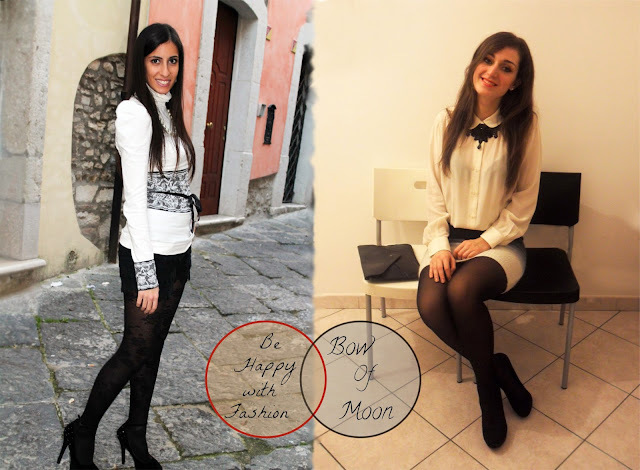 In the latter period a collaboration was born with Benedetta, italian fashion blogger who runs Be Happy With Fashion, which it will include themed outfit post: a way to have fun with fashion and to show our ideas. The first theme is the Black and White that you can see in our look on my post and on that of Benedetta by clicking here. Our choices are felt on a romantic style, without any prior agreement. I mixed different fabrics: wool skirt, silk shirt, leather bag, suede heels and macramé necklace - a news, one-piece that can not miss in my closet. I thought this mix would be rather chaotic but the result in perfect harmony. The only touch of color is given by the red lipstick that would be perfect even on the nails but I had no way of realizing this idea. What do you think about my look and that of Benedetta? INTERNATIONAL GIVEWAY:30$ OF SHOPPING ON CHICNOVA!! I really like your outfitt!! !